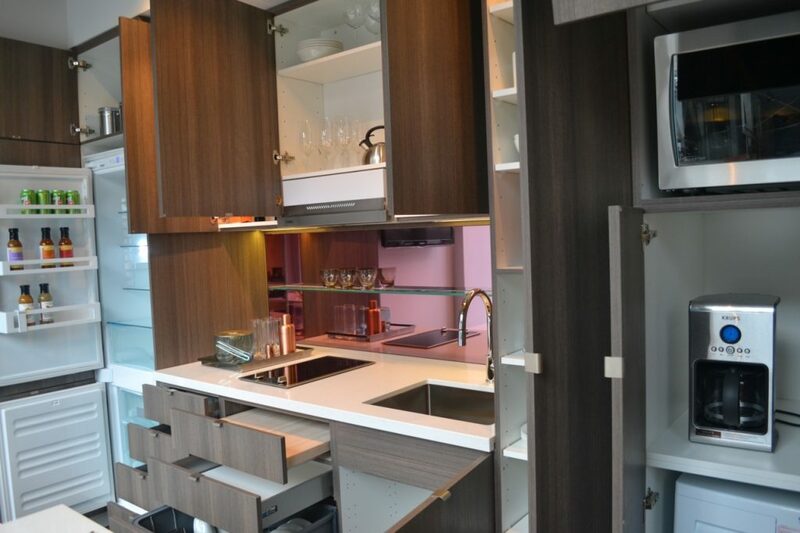 Toronto’s first ever micro condo doesn’t come up short on big design ideas. Smart House, a new project by Urban Capital Property Group and Malibu Investments, maximizes the potential of every square inch of space. The problem with the typical approach is that a smaller one-bedroom or studio suite will try and integrate a layout meant for a much larger unit. It’s not built to a smaller scale and space is needlessly wasted. But at Smart House, the layouts emphasize the importance of efficiencies. 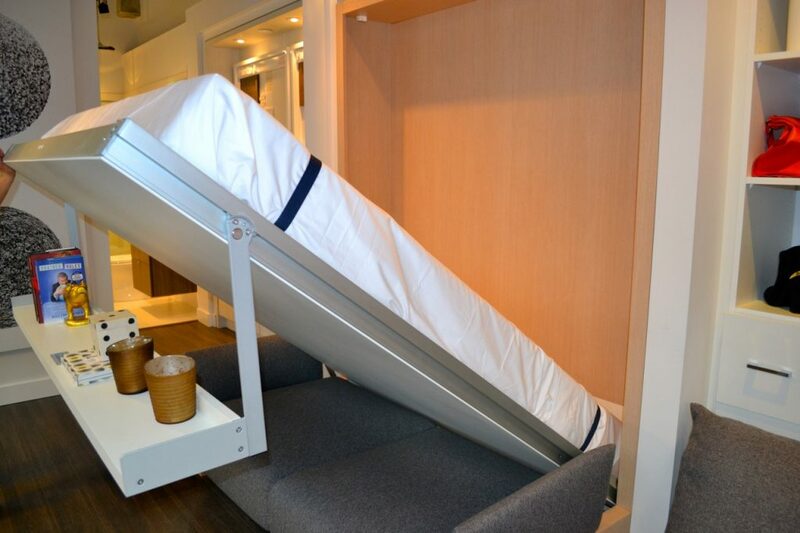 For example, each suite makes the most of both horizontal and vertical space, meaning closets and kitchens come with a good amount of storage shelves that reach up to the ceilings. 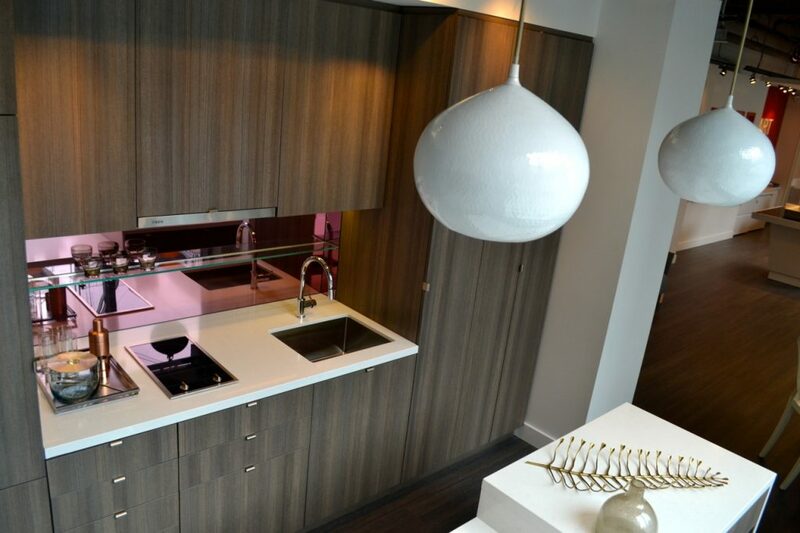 The sleek kitchen is meant to look like one built-in piece of mill work. But don’t let the size fool you – there’s storage room galore. Menchions explained, “It had to very, very functional in every aspect, both horizontally and vertically for storage utilization. Menchions said the demographic looking at micro condos isn’t typically cooking up big meals, but is very social, frequently eating out or ordering in. 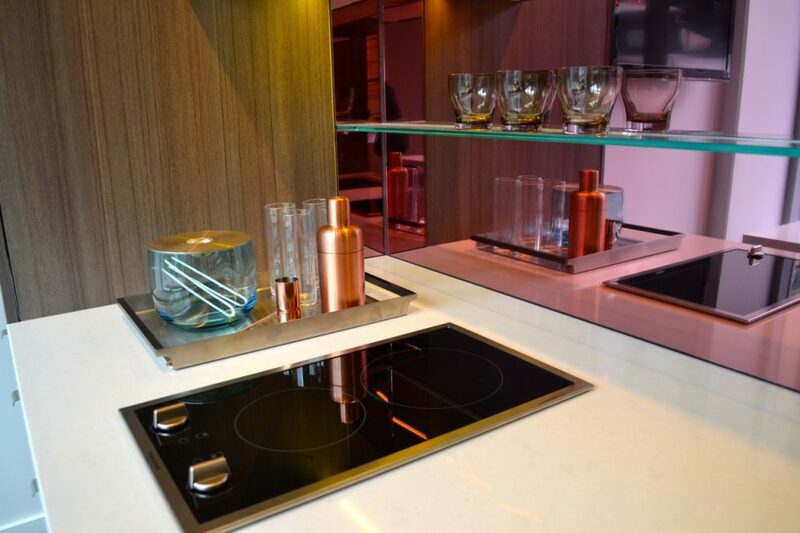 Instead of a space eating oven and range, they installed a two-burner cooktop. 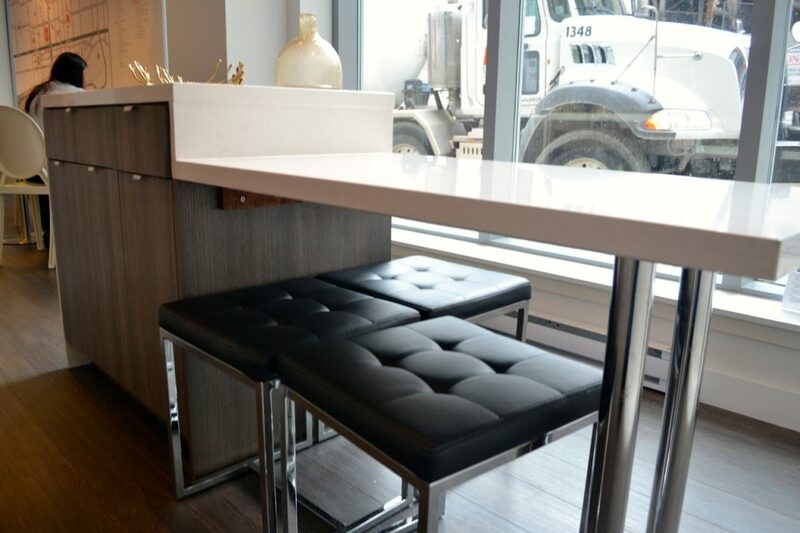 The kitchen countertop also doubles as a wet bar, with extra shelving installed on the backsplash. Need room to cut up some vegetables? 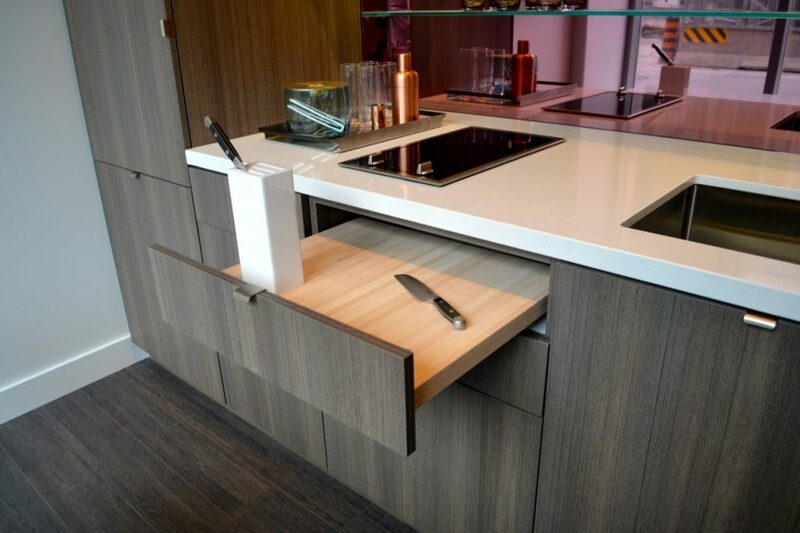 One of the drawers reveals a built-in cutting board. Talk about clever! 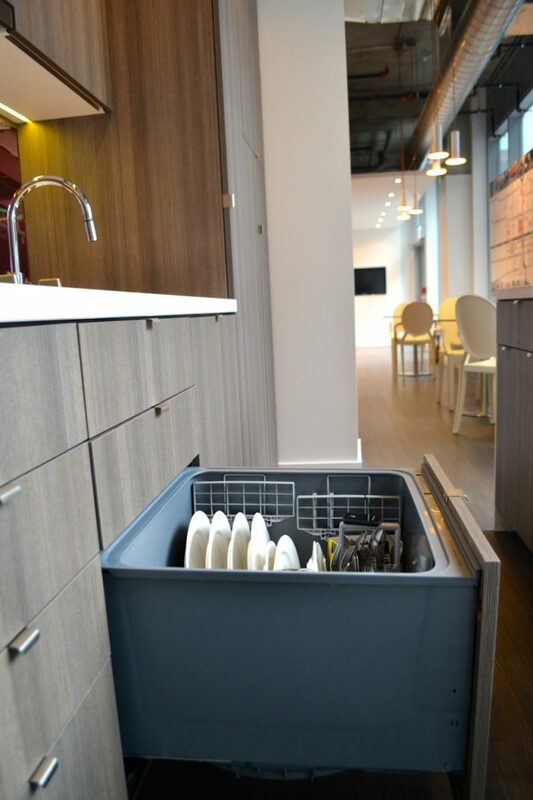 There’s no need to sacrifice a dishwasher in smaller space either with this nifty 18-inch, pull-out model. 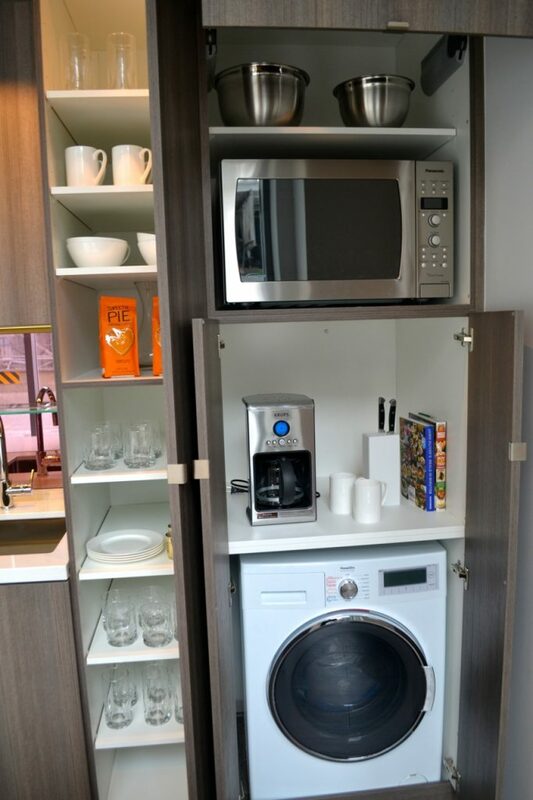 No space is wasted – there are extra cupboards in the island. The appliances, including the fridge, convection oven, combined washer/dryer are all behind the millwork. 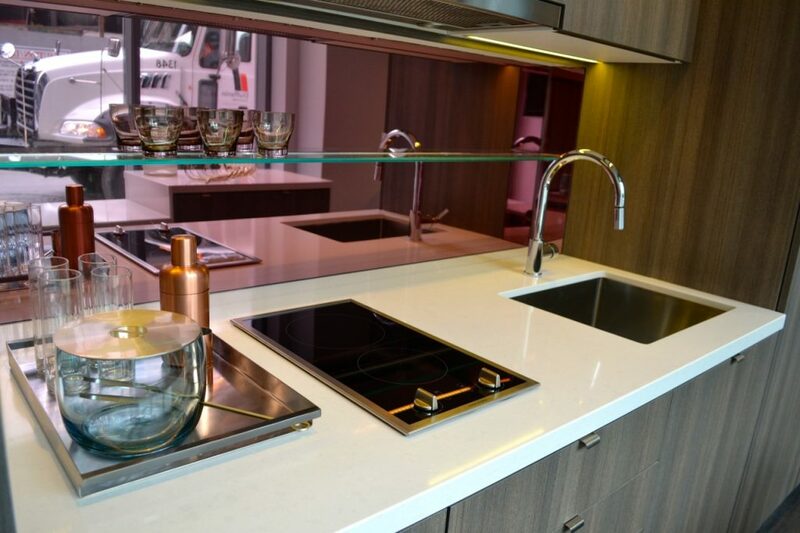 The designers were able to put the microwave, which takes up valuable real estate on many a kitchen counter or island, in one of the shelves as well. Unpacking all that storage space. 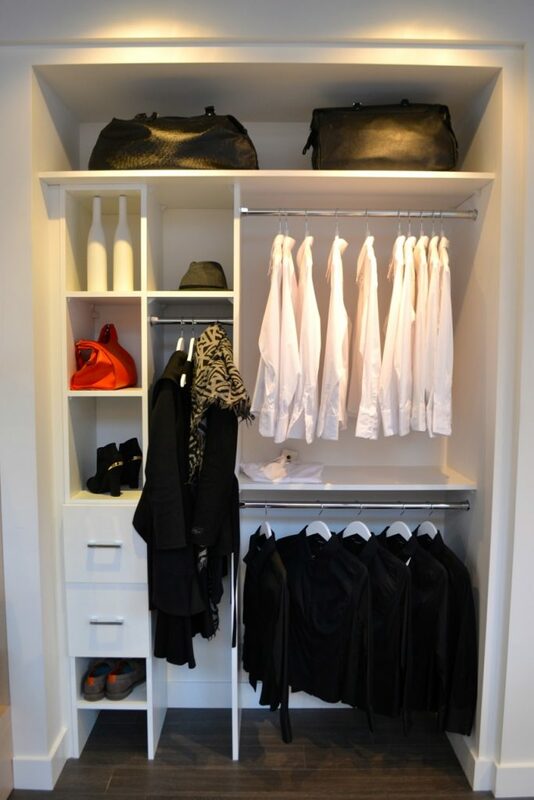 Shelving is installed from ceiling to floor to maximize closet space. 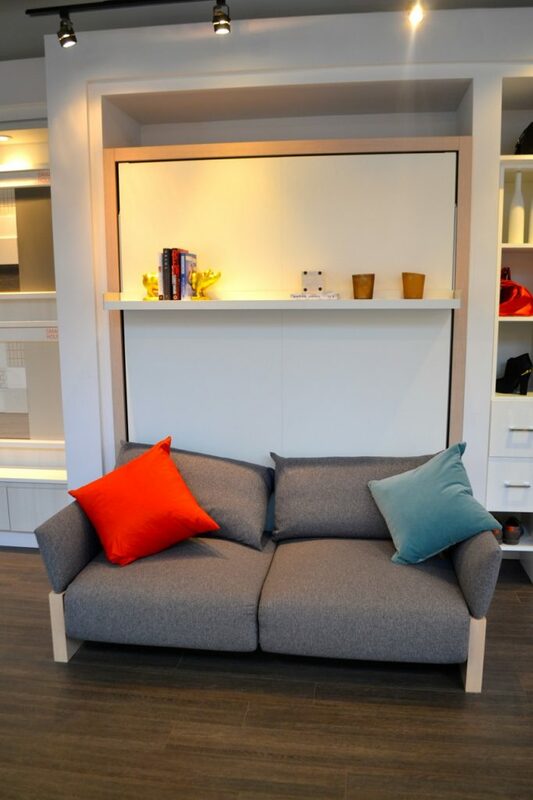 In the living room, the sofa folds down into a murphy bed. 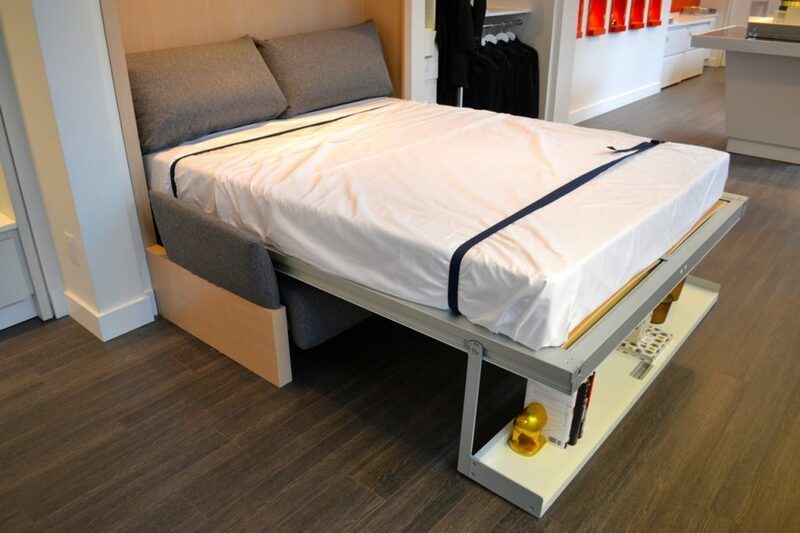 No need to take your books off the shelf – just pull the shelf and the bed will follow. 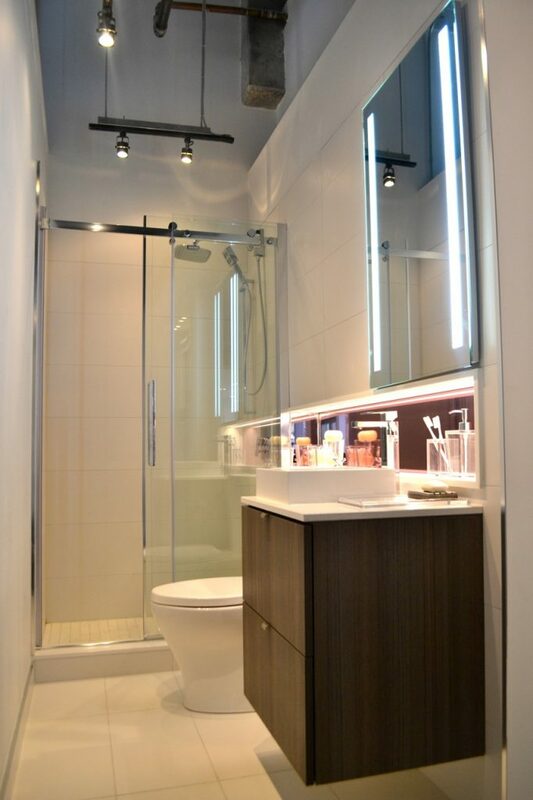 “In other condos, the bathrooms are quite large in relation to the rest of the space,” said Menchions. The decision to leave out a bathtub was somewhat controversial at first but helped enlargen the units. Most people take showers and showers only so it made sense to keep the bathroom streamlined. 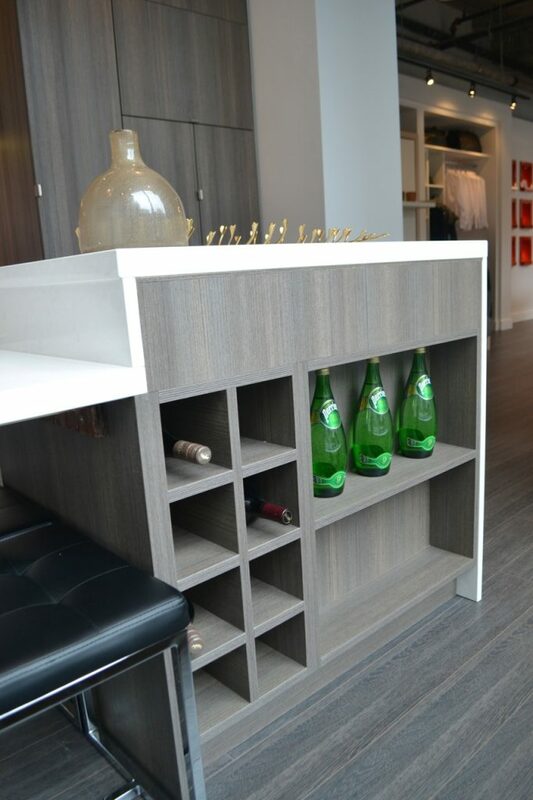 Roughly four-feet wide, the monochromatic colour scheme and clean lines prevent the room from feeling cramped and the vanity includes plenty of storage space too. Situated at Queen and University, the 25-storey condo project is a bold new vision for doing way more with less. Suites start from $249,900. For more information contact info@smarthousetoronto.com or 416 292 5818.